What to get dear ol’ dad? We have some suggestions! Home » The Buzz » Lifestyle » What to get dear ol’ dad? We have some suggestions! So, to show your appreciation don’t go with the cliché gifts – be creative! According to a survey by RetailMeNot.com, ties and “World’s Best Dad” T-shirts top the list of least-desired Father’s Day gifts. Roughly 35 percent of dads who want a gift that costs money want gift cards, tech gadgets and electronics. The savvy experts at Miss Money Bee have compiled a list of great Father’s Day gifts with the help of Trae Bodge, senior writer for The RetailMeNot Insider. Gift Cards. You can never go wrong with getting your dad some “free” money to his favorite store, bar or restaurant. He can get what he pleases, and you don’t have to worry! Favorite Movie T-Shirt. Bodge says that instead of a “World’s Best Dad” T-shirt, get him a cool shirt representing his favorite movie or show. TV Store Online has loads of clever, high-quality tees, and most of them are less than $20. Camping Trip. For dads who love the great outdoors, plan out a hiking or camping trip with the family. Everyone – dad and the kids – are sure to have a great time. If a new backpack or day pack is needed, Bodge recommends REI.com. Memorabilia. Get him something from his hometown city, favorite band or even his favorite football team. It lets him reminisce on all the good times…and it shows how much you care! Sporting Tickets. Father’s Day is sports season! The NBA finals just wrapped up, baseball season is still in and the NFL season is just around the corner. Get him tickets to a sporting event, and he’ll be sure to have a great time! Sporting Gear. Don’t forget to give dad some fan gear so he can represent his team adequately! Bodge recommends taking a look at Sport Chalet’s fan gear section, which has clothing representing every sport and team, including (but not limited to) the NHL, NFL and NBA. Electronics. Dads love their technology. Perhaps you can get the whole family to chip in for a new camera, laptop, tablet or even phone. He’ll be sure to love this one! Food. You can never go wrong with food. Take dad out to his favorite restaurant or bar. You can spend quality time together while getting your grub on. We hoped out tips helped! 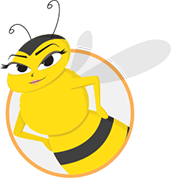 Miss Money Bee would like to wish all the dads out there a Happy Father’s Day!